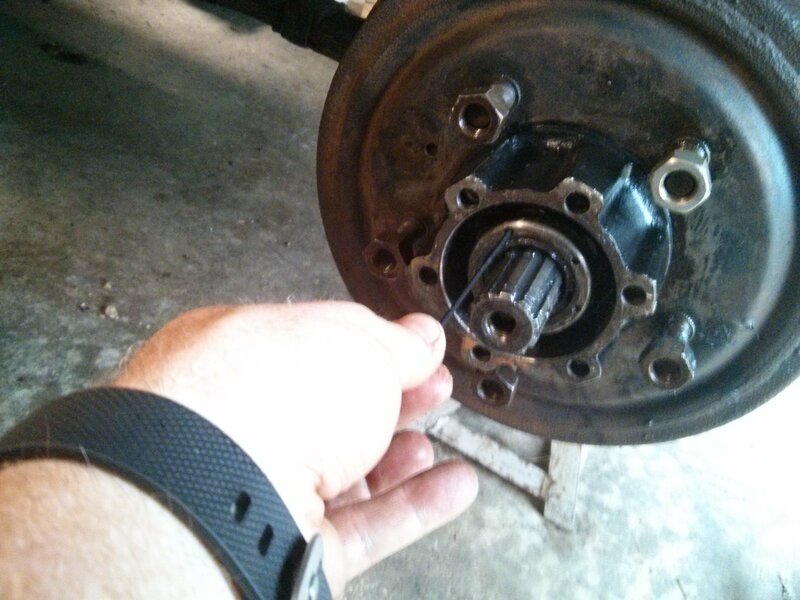 Time to put the hub back together. 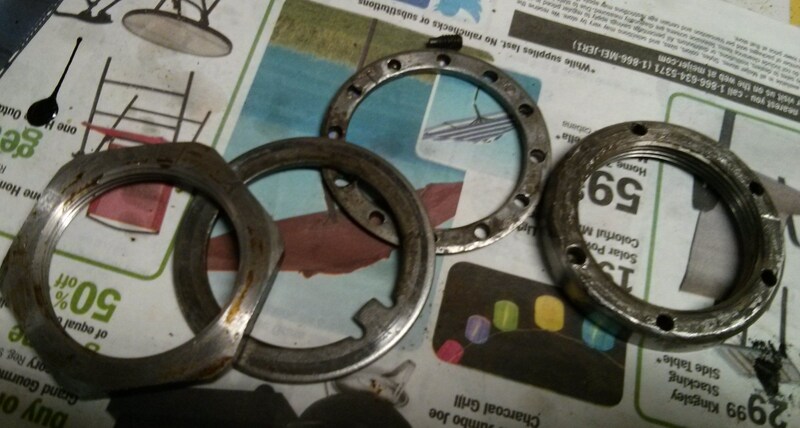 Here are the wheel bearings and the new grease seal. 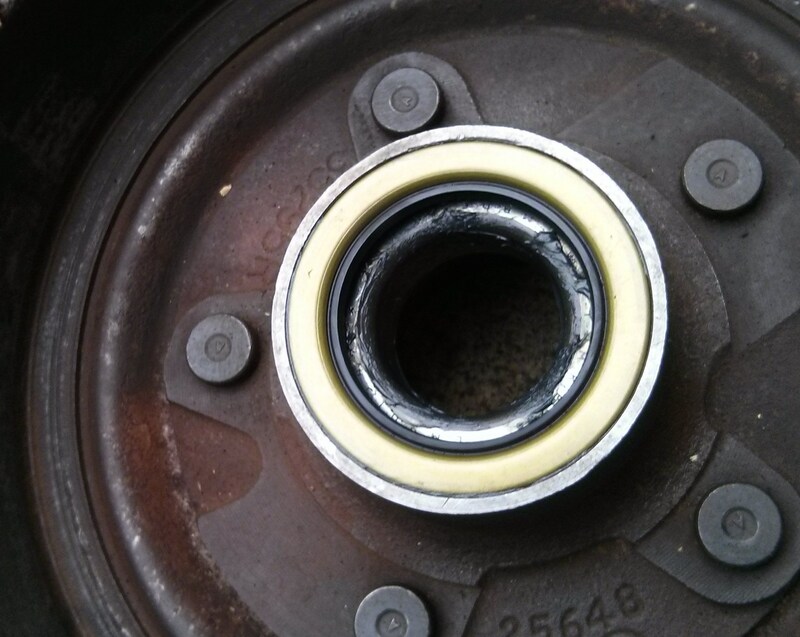 I packed the bearings and the hub with wheel bearing grease. 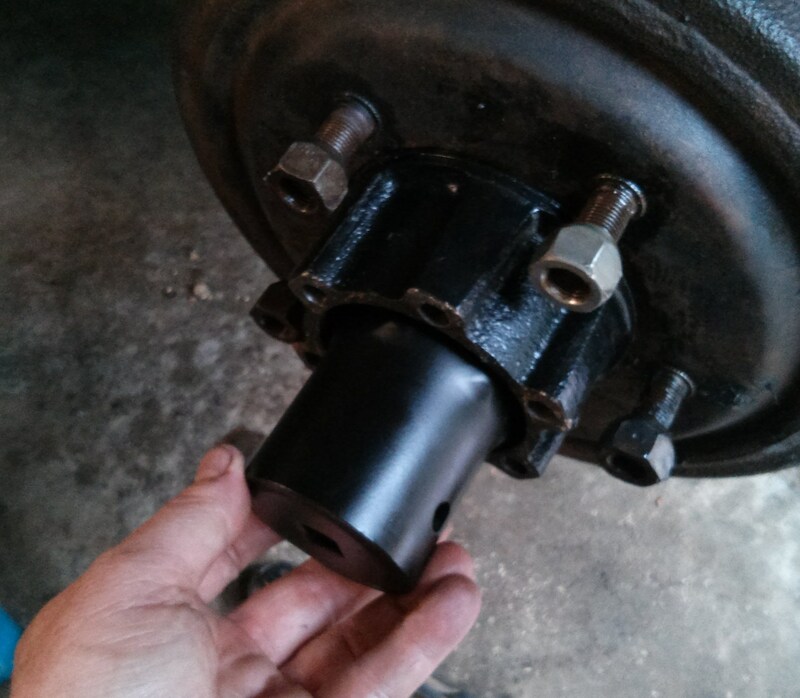 Rear bearing and grease seal installed. Here is the stack-o-nuts that holds the hub on the spindle. 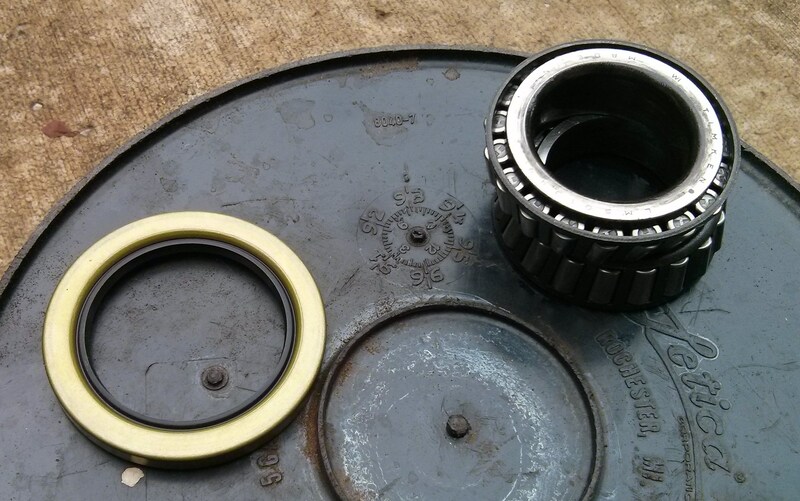 The right-most part is that round lock-nut with three setscrews in it. The setscrews clamp on to the washer with all the holes. First I put on the tabbed washer and the big nut. 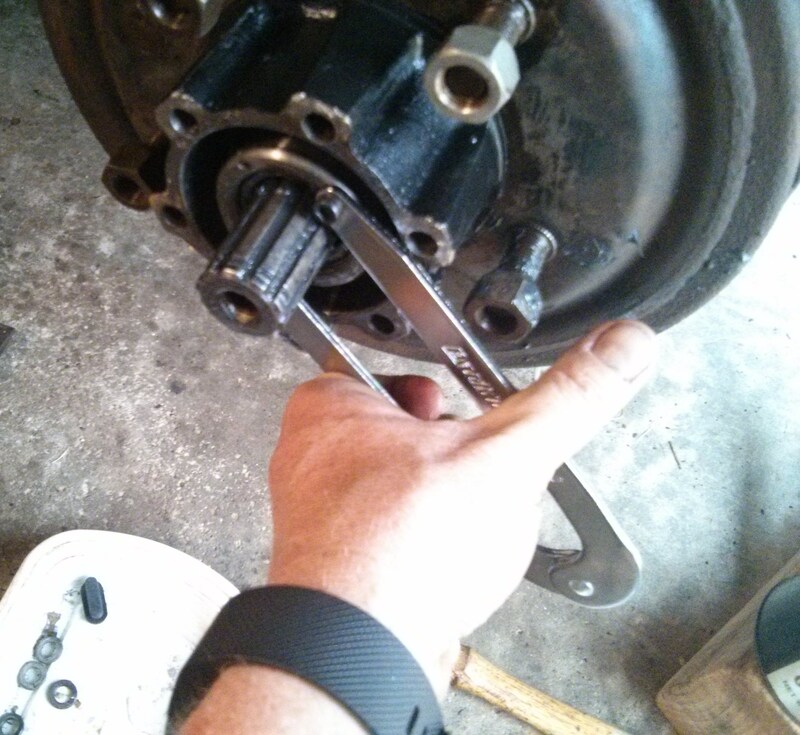 My new Jeep hub nut wrench works a treat. 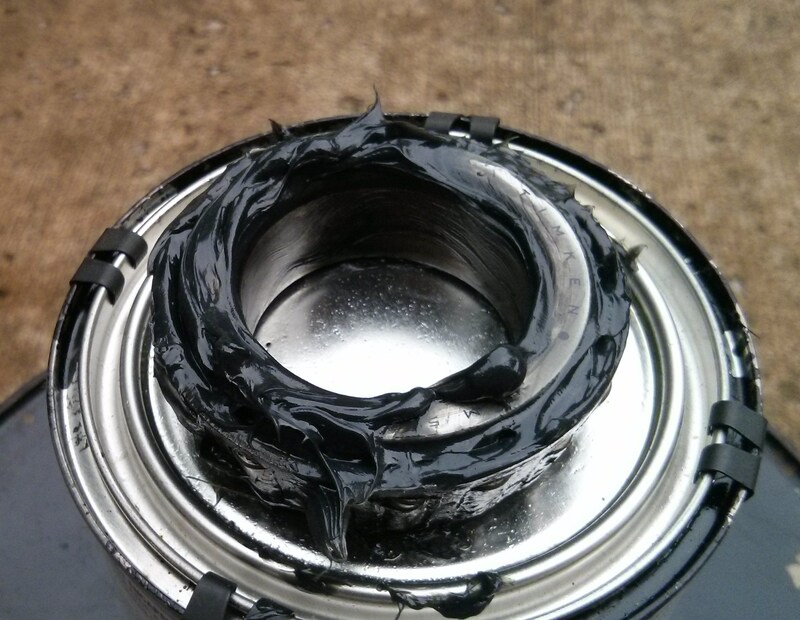 I adjusted the bearing pre-load as per the manual. Next the washer with the holes followed by the lock nut. I bought this cheap spanner wrench on Amazon to tighten this down. 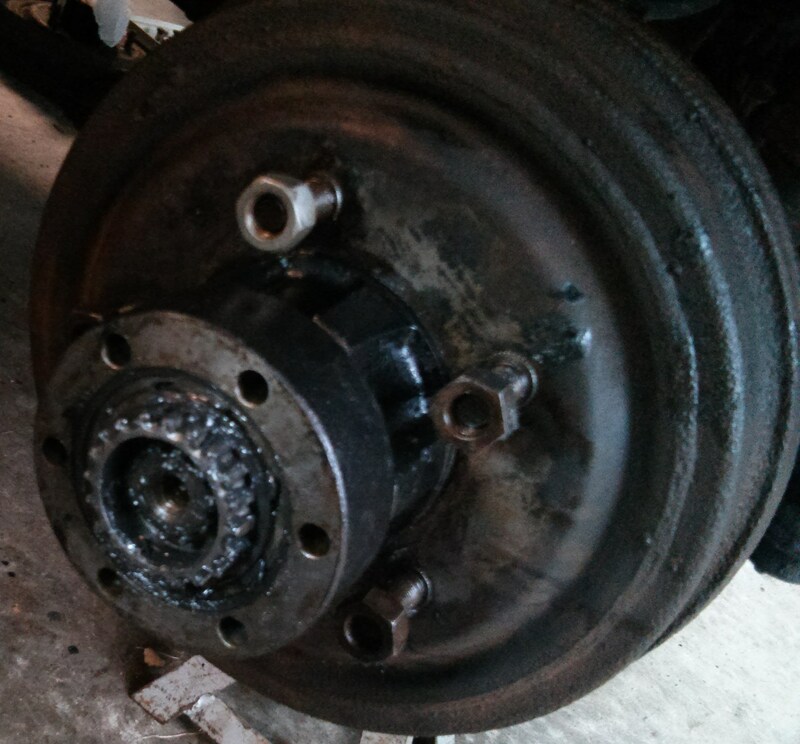 I tightened the set screws and the wheel bearings are in. Locking hub time! 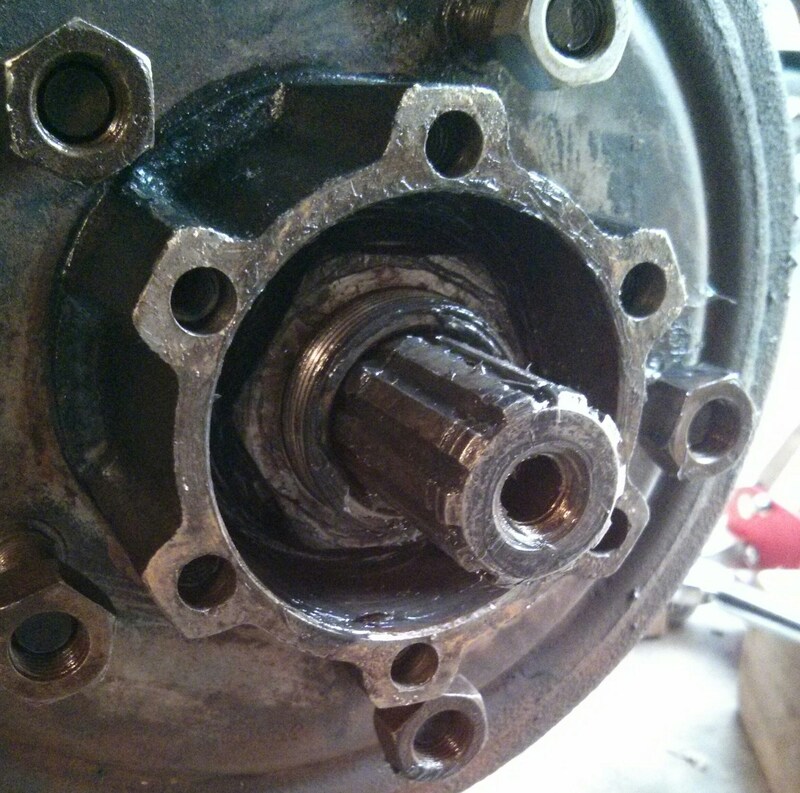 The locking hub body slides over the axle splines. 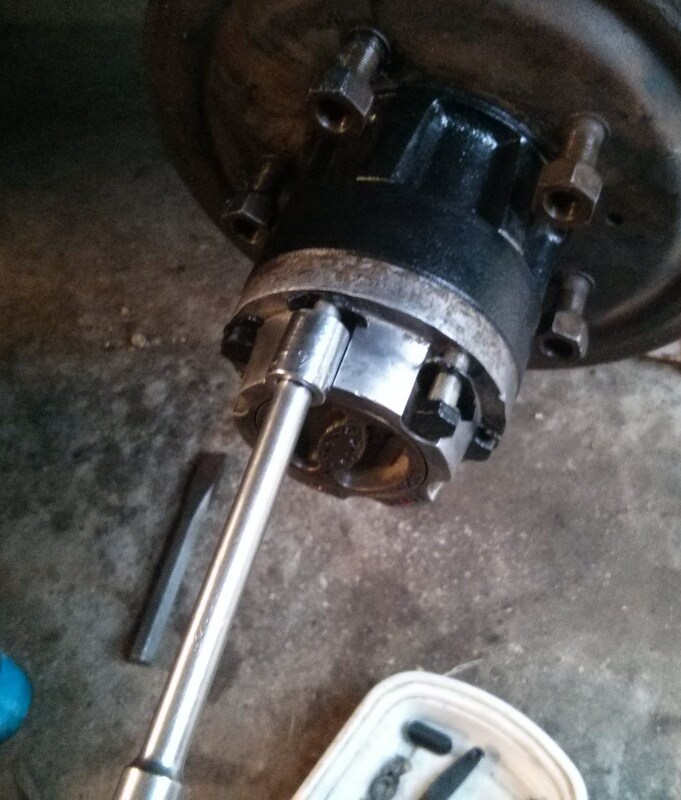 The outer snap ring goes over the end of the axle shaft. 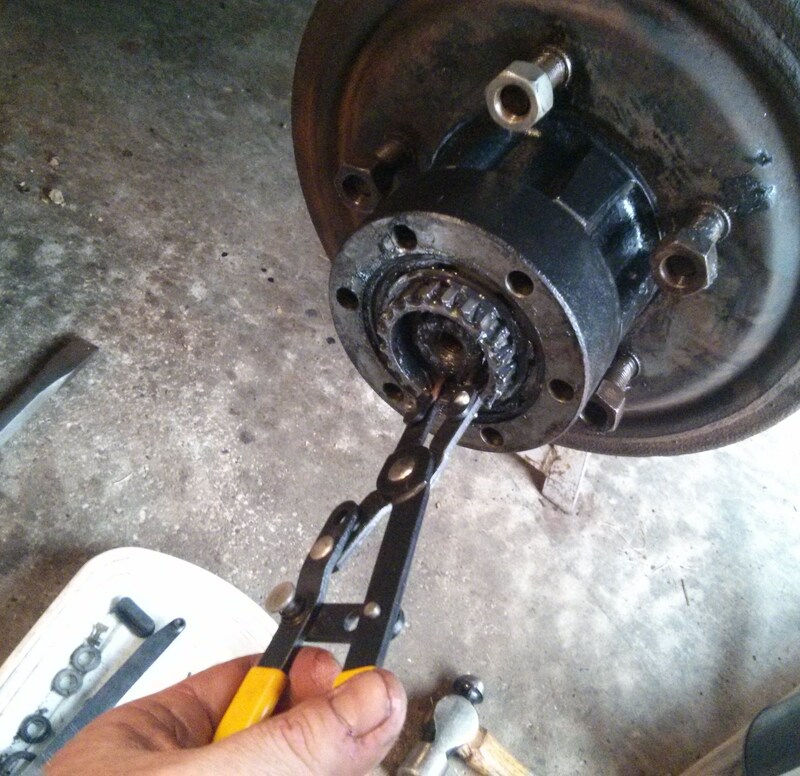 The outer part of the hub goes on next and the bolts go in. Done-ish. I need to tighten up the bolts and brake fittings. 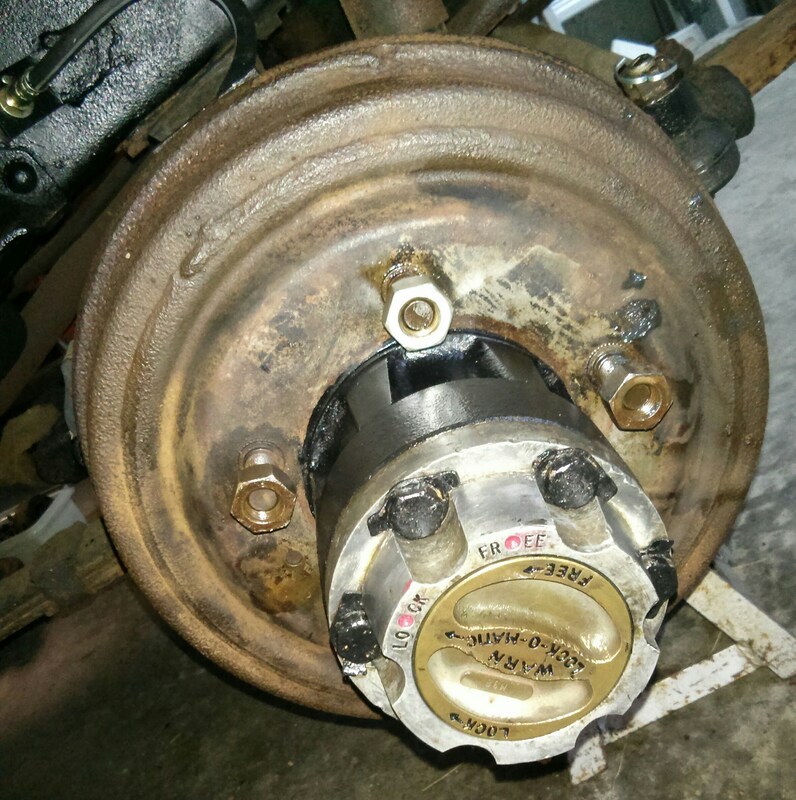 I also need to adjust the brake. 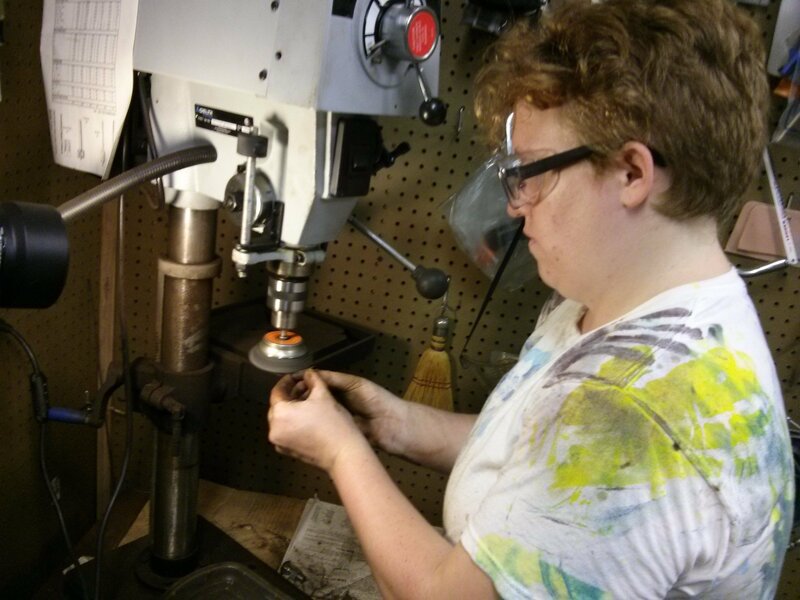 Meanwhile Rachael was cleaning brake parts. 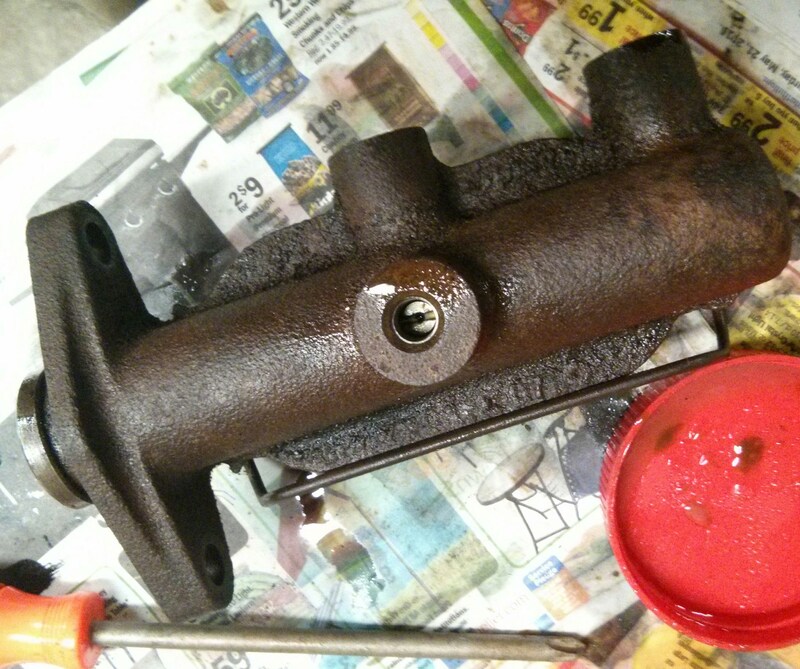 We also dug into the master cylinder. I removed the snap ring in the end of the M/C. I also pulled the brake light switch. 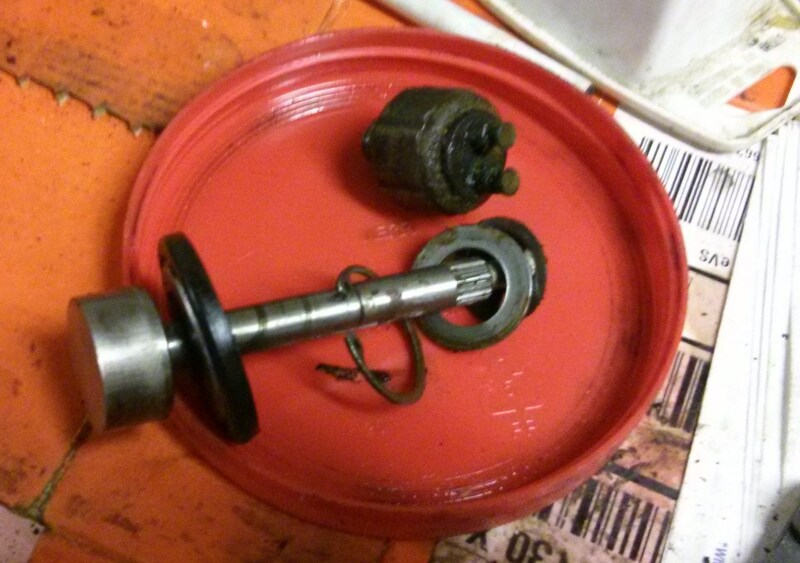 I then removed this screw that holds the piston in. 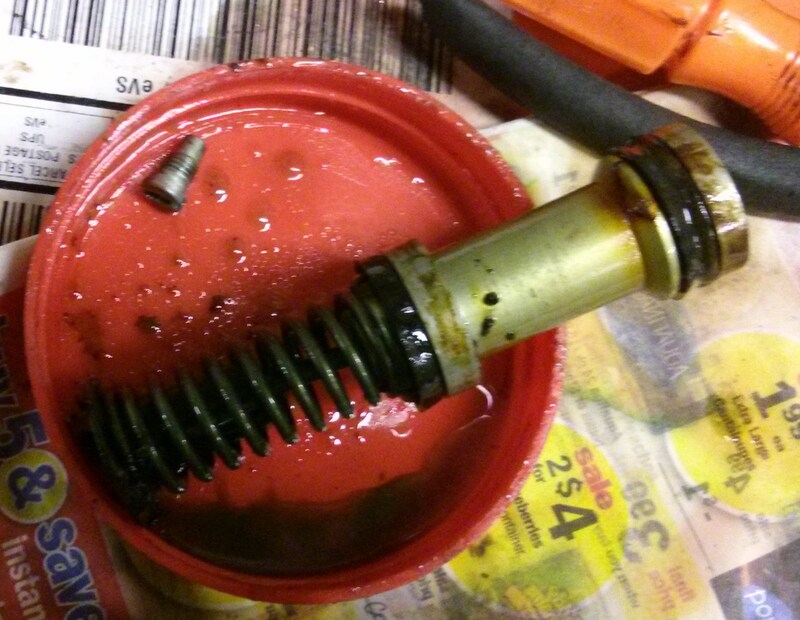 Piston and set screw removed. My thought was that if the M/C is in good shape I will just rebuild it. Then I found out a rebuilt unit is $45 and the rebuild kit is $28. For $17 it is not worth my time to mess with it. So I will probably just put this all back together and return it as a core.